ELD believes it is critical to have continued liaison with the design team whilst developing the concept design into a masterplan. The retention of existing features through creation of green infrastructure, identification of opportunities for new landscaping, forward planning and appropriate preparation are essential at this stage. By working together, it’s possible to ‘design out’ potential conflicts between development, built infrastructure and landscape – ensuring a harmonious relationship between the various elements, whilst retaining commercial awareness and the economics of the development. Draw on the team expertise to ‘design out’ potential conflicts between development, built infrastructure and landscape before submitting plans to the Planning Authority. 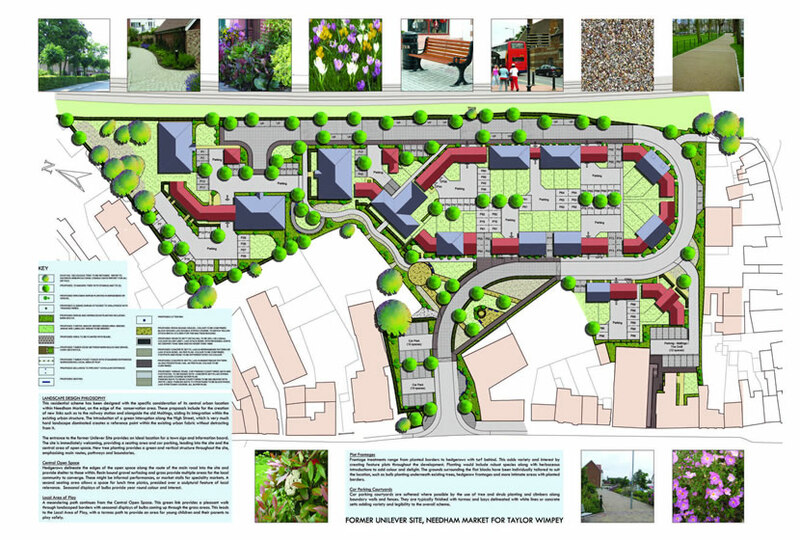 The masterplan at Netherne on the Hill incorporates many design feature areas such as the ‘Crossing Point’ and ‘Italian Garden’, public open space, whilst providing a ‘green’ village character, created through the introduction of trees and hedgerows throughout the street scene, along plot boundaries. Formally a Victorian mental hospital, Netherne is located on a raised plateau, off the A23 just one mile inside the M25 within the heart of the Surrey Green Belt. 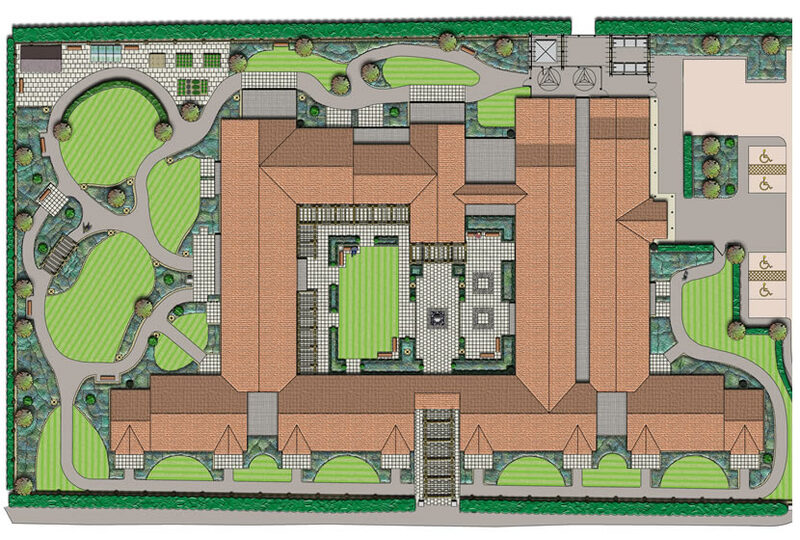 The proposed new village of 480 properties comprises a mixture of new and refurbished units surrounded by mature specimen trees and open countryside. Ongoing maintenance of a site is important if the landscape scheme is to survive and reach maturity. ELD has compiled numerous Management Plans for Local Authority Section 106 Agreements and residential Management Companies, to ensure the development’s landscape scheme is managed in an appropriate way in perpetuity. Management Plan reports and drawings have also been prepared for public highways, residential areas, public open spaces, woodlands, parks, ponds and private gardens. The Plan can be issued for tender from which a contractor can be appointed to undertake the works specified. Site survey and identification of areas to be managed. Plans to illustrate the regime of maintenance for each specific area. Specifications for the management regime or works to be undertaken. Schedule of works to allow tender and contract administration. We undertake work throughout East Anglia including the counties of Suffolk, Norfolk, Essex and Cambridgeshire. Work further afield may also be considered.